WE DON’T DO CHEAP WE DO GREAT VALUE . 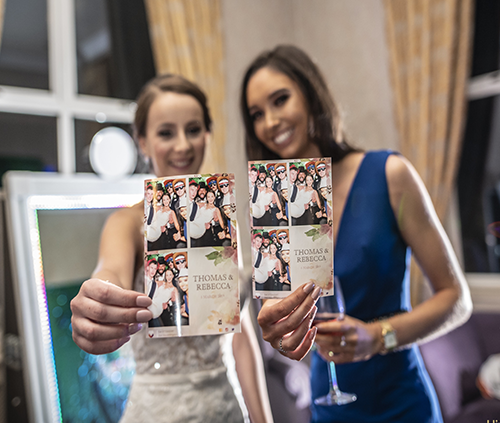 The Magic Mirror from hireaphotobooth.ie is the latest Photo booth innovation. Brand new for 2016 the Magic Mirror is sweeping the country and we are proud to be leading the craze . 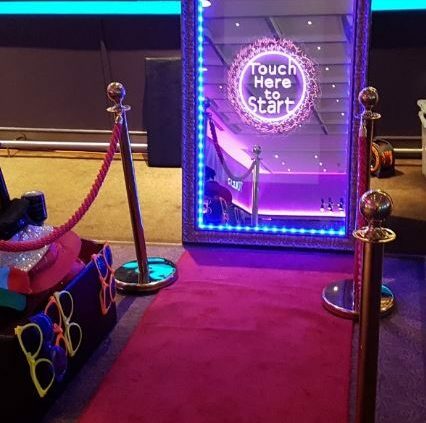 This full length Magic Mirror captures full length photos using interactive touch screen technology .Once you’ve dressed up and had your photos taken you can then sign the Magic Mirror and your signature will then print out on your photos . For our wedding customers we still include a guestbook where we put in a copy of the photos taken and then the guests can write a short message beside them , this way you get the best of both worlds. The Magic Mirror Hire is ideal for Weddings , Birthdays , Corporate events , Debs , Confirmations and Instore marketing aswell as any party occasion .We cover all locations around County Tipperary including Nenagh , Thurles , Cashel , Clonmel , Cahir , Roscrea and Borrisoleigh . We also do Light up Love Letter Hire in Co Tipperary and Ferrero Rocher Love Heart Hire in Co Tipperary . We offer big discounts when you hire multiple items from us . All of our Hireaphotobooth.ie Magic Mirror Packages come with the following . The Magic Mirror Clare from hireaphotobooth.ie is the latest Photo booth innovation. Brand new for 2016 the Magic Mirror is sweeping the country and we are proud to be leading the craze. This full-length Magic Mirror captures full-length photos using interactive touchscreen technology.O nce you’ve dressed up and had your photos taken you can then sign the Magic Mirror and your signature will then print out on your photos. For our wedding customers, we still include a guestbook where we put in a copy of the photos taken and then the guests can write a short message beside them, this way you get the best of both worlds. The Magic Mirror Hire is ideal for Weddings, Birthdays, Corporate events, Debs, Confirmations and Instore marketing as well as any party occasion.W e cover all locations around County Clare including Doolin, Lahinch, Ennis, Killaloe, Shannon, Kilrush and Spanish Point. We also do Light up Love Letter Hire in Co Clare and Ferrero Rocher Love Heart Hire in Co Clare. We offer big discounts when you hire multiple items from us. All of our Hireaphotobooth.ie Magic Mirror Packages come with the following. We cover all of the West, Midlands and East, including, Galway, Clare, Limerick, Mayo, Westmeath, Roscommon, Meath, Tipperary, Dublin, Laois. The Magic Mirror Hire is ideal for Weddings , Birthdays , Corporate events , Debs , Confirmations and Instore marketing aswell as any party occasion .We cover all locations around Dublin City and County Dublin . We also do Light up Love Letter and Ferrero Rocher Love Heart Hire in Dublin . We offer big discounts when you hire multiple items from us . The Magic Mirror Hire is ideal for Weddings , Birthdays , Corporate events , Debs , Confirmations and Instore marketing aswell as any party occasion .We cover all locations around County Offaly including Tullamore , Birr and Kinnitty . We also do Light up Love Letter Hire in Offaly and Ferrero Rocher Love Heart Hire in Offaly . We offer big discounts when you hire multiple items from us . The Magic Mirror Hire is ideal for Weddings , Birthdays , Corporate events , Debs , Confirmations and Instore marketing aswell as any party occasion .We cover all locations around County Roscommon . We also do Light up Love Letter Hire in Roscommon and Ferrero Rocher Love Heart Hire in Roscommon . We offer big discounts when you hire multiple items from us . The Magic Mirror Hire is ideal for Weddings , Birthdays , Corporate events , Debs , Confirmations and Instore marketing aswell as any party occasion .We cover all location around Limerick City and County We also do Light up Love Letter Hire in Limerick and Ferrero Rocher Love Heart Hire in Limerick . We offer big discounts when you hire multiple items from us . The Magic Mirror Hire is ideal for Weddings , Birthdays , Corporate events , Debs , Confirmations and Instore marketing aswell as any party occasion .We cover all venues around Athlone with our Magic Mirror Hire including , Glasson , Hodson Bay , Wineport Lodge , Athlone Springs , Radisson , Sheraton and Shamrock Lodge . We also do Light up Love Letter Hire in Athlone and Ferrero Rocher Love Heart Hire in Athlone . We offer big discounts when you hire multiple items from us . 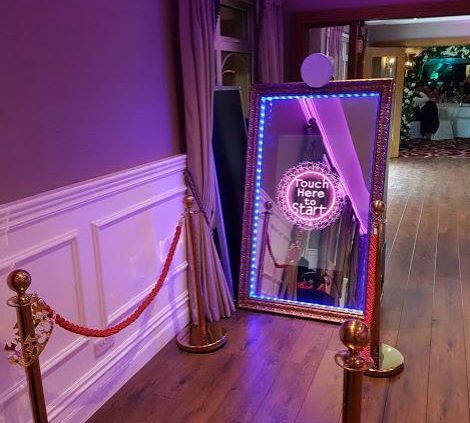 The Magic Mirror Hire is ideal for Weddings , Birthdays , Corporate events , Debs , Confirmations and Instore marketing aswell as any party occasion .We cover all of Galway with our Magic Mirror Hire including , Loughrea , Tuam , Athenry , Salthill , Clifden , Gort and Claregalway . If your not in Galway no problem as we cover all of Ireland.